Limited-Time Offer: Signed copies available exclusively at Barnes & Noble starting Black Friday 11/23/18! Find a store near you. Before he became a star of American professional wrestling, Shinsuke Nakamura was Japan’s “King of Strong Style.” Follow his life and career from the amateur grappling ranks to the Nippon Budokon, thrill to his matches against such legends as Kurt Angle and Brock Lesnar, his reign as the youngest New Japan Pro-Wrestling Heavyweight Champion, and his success as a mixed martial artist. 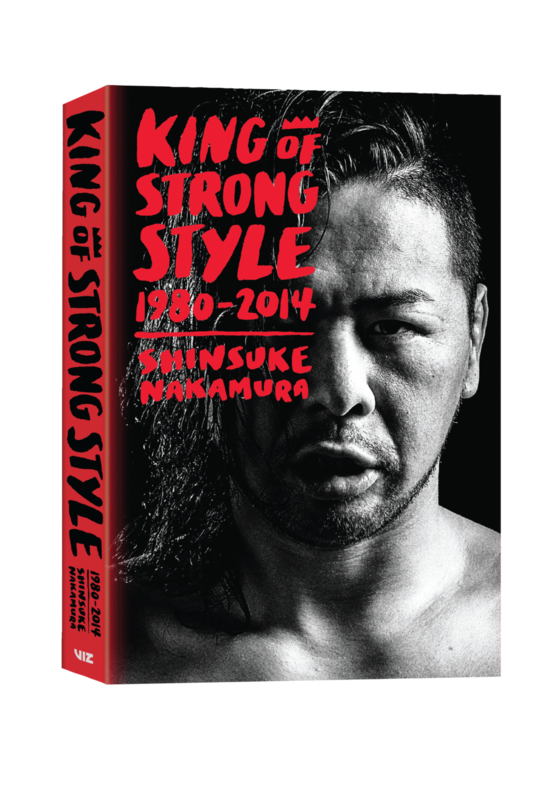 This entertaining sports biography includes photos from the life and career of Shinsuke Nakamura, from baby pictures to fashion shoots, from the amateur mat to the pro wrestling and MMA ring! Condition immediately prior to the bell at the Super Rookie Debut Fight on August 29, 2002, against Tadao Yasuda. Seconds Manabu Nakanishi and Yuji Nagata can be seen as well. © 2014 SHINSUKE NAKAMURA / NEW JAPAN PRO WRESTLING / EAST PRESS. Taking the IWGP Heavyweight Championship at the young age of twenty-three years and nine months in December 2003. This record of youngest ever champion remains unbroken. (Second youngest is Kazuchika Okada at twenty-four years and three months.) © 2014 SHINSUKE NAKAMURA / NEW JAPAN PRO WRESTLING / EAST PRESS. First victory at the G1 Climax on August 14, 2011, after crushing Tetsuya Naito. “For me, this was even further away than the IWGP,” Nakamura remarked, reflecting on his happiness at achieving this long-sought goal. © 2014 SHINSUKE NAKAMURA / NEW JAPAN PRO WRESTLING / EAST PRESS. Sparring with Lyoto Machida, currently active in UFC. “This is a R.A.W. team training scene. I think it was probably before the Nortje fight [May 2, 2003].” © 2014 SHINSUKE NAKAMURA / NEW JAPAN PRO WRESTLING / EAST PRESS. Lessons at the dojo of Rickson Gracie, a big name in the world of Brazilian jiu-jitsu. “I figured I came all the way to Brazil, so I stayed behind on my own and went over there.” © 2014 SHINSUKE NAKAMURA / NEW JAPAN PRO WRESTLING / EAST PRESS. What is professional wrestling? 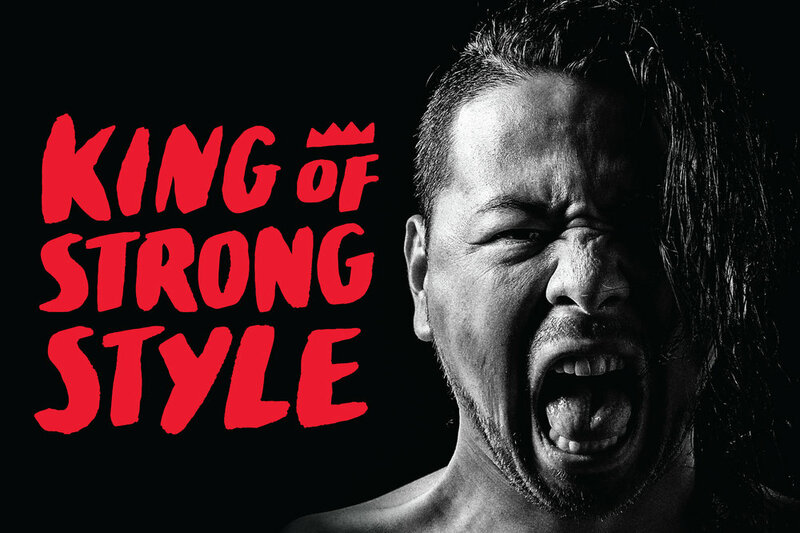 The king of strong style, Shinsuke Nakamura, speaks! …when it comes to the question of what pro wrestling is, I think “fighting art” is maybe more appropriate than trying to tuck it away in the box of “sports.” In that sense, then, I guess the pro wrestler is an improv artist. As a kind of artistic action, you use your heart, technique, body, everything; you release all of this to express yourself as you fight. I believe this is the essence of pro wrestling. But how does one ascend to the throne and become king of strong style? First, you get hooked on the sport. ...they released Fire Pro Wrestling for the TurboGrafx-16 when I was in grade six. That’s when all of us got super into pro wrestling. Before that, from kindergarten to grade six, I’d basically just draw pictures on the back of flyers at home after school. At first, I drew robots like Gundam, and I eventually turned to drawing people. Then you develop some fighting spirit. I was the biggest crybaby. Although I’ve always been big physically. So it usually went something like this: I’d help out some kid who was being picked on and then I’d end up getting picked on too. Also, because I was tall, I was always catching the eye of the older students. Not being able to do anything in those kinds of situations was actually traumatic. You begin to train hard. You work with the best. I was coached by a guy by the name of Rico Chiapparelli. There was this guy called the “God of Wrestling,” Dan Gable, and Rico was his best student. The story had it that in wrestling, he overwhelmed even Randy Couture. You travel the world to perfect your craft. …I was a rudo, so in the provinces, outside of the Arena México, I regularly had lit cigarettes pressed into my back or drinks thrown at me. I got leftover chicken bones and some kind of mystery liquid thrown at me too. You become the youngest IWGP Heavyweight Champion in history. Then you turn bad and develop a powerful finishing move. You come up with your own catchphrase. What does “yeahOH!” mean? If I had to say, it’s a “prod.” And like, feel free to interpret that as you please. I guess in a certain sense, it’s maybe also a riddle. And then you become a living legend. The audience’s eyes are focused on the ring instead of the outfield, you know? They have the centrifugal force to pull together all these different wrestlers, and there are more belts than ever all of a sudden. So more than chaos, it’s like, “What should we do now?” And Shinsuke Nakamura’s flying around in the middle of it all. Even if I kept my mouth shut, the story would just pour down all on its own. Heh heh heh.